Anonymous, 28 Jul 2013Hey Guys!! I had ordered for HTC Desire Z online... But I got this T-Mobile G2 today.....;( ... moreYes, it's the EXACT same. Also why are you buying this now in 2013? Can anyone plz tell me whether it is the same as HTC Desire Z or its the duplicate one?? Good phone. It has a great image resolution. The internet navigation is faster than other device (like IPod Touch 2). Good speed processor. the phone automatically turned off after it got drained. i already charge it, however it wont turn back on? Anonymous, 24 Apr 2013I tried to take a photo in the mid night but the flash light couldn't appear..why? Flash might be turned off, tur it on when you open the camera. Its a lightning icon on the loerr right hand side of the screen. Good luck. Effyzzie, 27 May 2013my bluetooth is not connecting at all cant connect with other pones and my wifi to.pls what do I do Re-set it. Effyzzie, 27 May 2013my bluetooth is not connecting at all cant connect with other pones and my wifi to.pls what do I do are u sure ds fone is nt connecting wt to wifi?? Which wifi did u used? 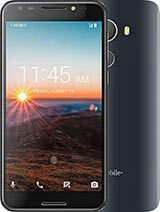 Total of 323 user reviews and opinions for T-Mobile G2.